My hope is that those who read this blog will realize that their own life is an adventure. Making a 2 year old giggle, finding the perfect gift for a friend, or watching the sunrise can be an adventure if we have the right attitude. When I sign my book I write, "Enjoy the adventure of life." That is truly my hope - that those who read my blog or The Seamstress of Jamestown will enjoy life to the fullest, seeing everyday events as adventures. But then there are the adventures that are so exciting you wish they weren't happening! These are unpleasant at the time but make great stories years later. So I will tell about an adventure that is interesting to me because it happened 30 years ago. That is enough time lapse to see it as a great story and not present trauma. I was spending time alone at a nice hotel on the island of Kauai. It was really more like condos - a two-story structure with little apartments. There was an office where I could ask the manager for information. But I didn't need that! I was adventurous, and enjoyed exploring. Every day I went on a little adventure. I would drive and sightsee until I reached an interesting spot, then hike a little. One day I took an unplanned hike down into Waimea Canyon. Not having intended to take a long hike, I only had one small plastic water bottle in my backpack which was 3/4 full. It was one of those trails that has a sign-in sheet at the top, so that if you disappear they know where to search for the body. On my hike down, I saw a large plastic water bottle hanging on a tree. It was a gallon jug hanging by its handle on a dead branch of a dried up tree - the only tree in sight. There was about an inch of warm water in the bottom. I made a mental note of it thinking I might find it useful on the way back up. I was passed by a man and his son on the way down but never saw them again, nor anyone else. By the time I reached the bottom of the canyon, I was exhausted and HOT! My head was throbbing. I splashed myself with the creek water, even dunking my head to soak my hair. It didn't last long. I was soon as dry as the red dust that covered the canyon walls. The creek water was literally swimming with bugs. My California girl brain forbid me to drink it. I figured I could always drink that water in the tree bottle. Thirty years ago we didn't know there were carcinogenic PCB's in plastic bottles baking in the hot sun. I started back up. The first quarter mile had some trees and shade. I picked up 2 pieces of fruit from the ground and put them in my backpack. I had no idea what they were. Why were they on the ground uneaten by the father-son pair or any wild animals? Perhaps they were poisonous. After that there was nothing but red sand trail, burning sunshine, throbbing head, and sitting to rest every quarter mile. I finally broke down and ate the fruit. I survived. It didn't take long for that fruit liquid to dehydrate, but I was optimistic remembering the tree bottle. After many rest stops, I finally spied it. I forced myself to trudge to the little tree. The bottle was empty! How rude of someone to drink MY water. Obviously, I wasn't thinking very clearly by that time. I rested again then determined to make it about another quarter mile. On the steep descent, there was one part of the trail that had been washed out. On my energetic beginning downhill, I leapt over the two-foot chasm with bravery. On the way back up, I was barely dragging my feet with every step. When I arrived there, I paused disheartened. There was no way I could leap over anything. It was the only way. So I mustered every ounce of energy I had left, threw my backpack over first, then took a slower than running start and just barely made it. I lay on the other side with my head pounding. I continued my slow trek and finally arrived at the top of the trail. The sun was just setting. I signed the book so whoever cared would know I had made it out. I drove a little further up the road to a small store and got water. I drove many miles back to my hotel, slowly. The following morning, I stopped in the office just to have someone to chat with about my adventure. They informed me that that tree bottle was called a "pig bottle." It was a plastic bottle left hanging on the tree by a wild pig hunter (wild pig or wild hunter? both). The manager said a pig hunter would just as soon shoot a haole (white foreigner) as a pig! They had 100 haoles that had "disappeared" on Kauai - bodies never to be found. My husband says I must have a band of guardian angels. I plunge into life and think later. I never do anything that seems dangerous, such as bungee jumping, but manage to get myself into these adventures. Perhaps that is why I view life as an adventure. Or perhaps it is because I view life as an adventure that I get into these fixes. In any case, it's better that being bored. May you enjoy the adventure of life! It has been quite awhile since I blogged. By the way, Sr. Rosata would never have accepted that as a verb. What are the principle parts of that verb? Blog, blogged, have blogged - maybe? Anyway, it's not that nothing has been happening; it's that too much has been happening. If I wrote about it all, it would be another book. Basically, I have been promoting my book at community events because I am passionate about getting it into the hands of as many people as possible so they can benefit from the deep message about life embedded in the fascinating story. I have also been helping run a private high school in order to help raise up future leaders who will lead the world into goodness, truth, and beauty. Yes, really. I am intensely passionate about that. The question arose last night at dinner with my brother. Why are we so driven? He is even far busier than I - never a break, running every organization he joins, and determined to evangelize everyone he meets (even his pastor). I concluded we come by it honestly. Our parents were fairly mellow. Our Dad worked for the L.A. County Marshal's office for about 30 years, retired fairly young, played golf, poker, watched TV, and lived to be 100. Our mom loved to paint, dance and play Bridge. One must go farther back in our lineage to find the culprits. 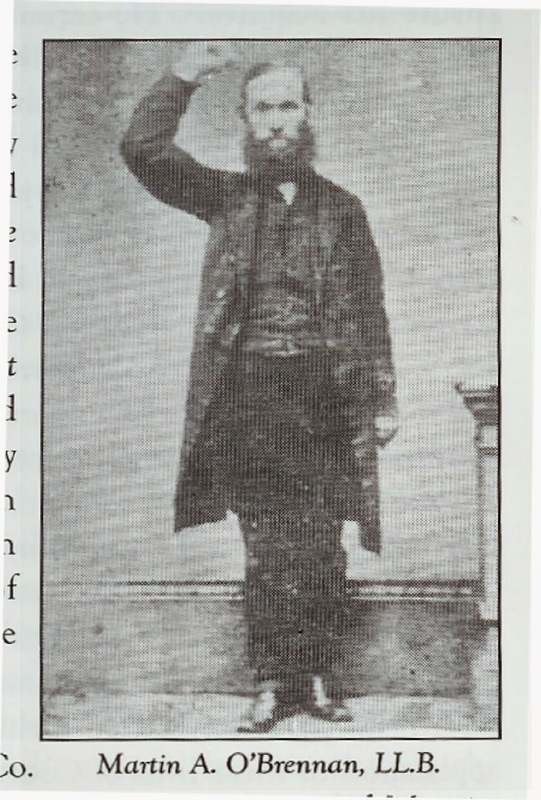 The main one was Martin Andrew O'Brennan who was born in 1812 in County Mayo, Ireland. He was well-educated, very Catholic, and proud of his Celtic heritage. He married, ran a collegiate seminary in Dublin, had 9 children, wrote extensive histories of Ireland going back to Adam & Eve, supported every Irish cause, and was jailed 3 times for seditious language in his newspapers. He claimed he was not a revolutionary. He finally escaped and came to Chicago where he traveled, teaching all over the eastern U.S. about Irish history and Catholic theology. He died in an "accident on the street" according to his obituary. My Dad said his enemies killed him. He just could never stop. He was passionate about his causes, fought for truth, and saw the world as black & white. Enter my brother & I growing up in mellow, sunny, southern California in the 1950's. Life was happy and beautiful. Just watch Happy Days or The Wonder Years. So, without ever having met the infamous and passionate Martin O'Brennan, we grew up to be intense, passionate people fighting for our causes. My mother always said that traits skipped a generation. In this case, I think they skipped 3 generations! Oh, so maybe you think I'm being too hard on poor ole Martin. Perhaps you are correct. Possibly part of the blame goes to his son-in-law, John J. Bodkin. John came from the same town where Martin had his newspaper and was arrested, Tuam, in County Galway. In the Chicago area, John married Martin's eldest daughter, Marian. No shrinking violet I would guess, as the wife & children of Martin are credited with running his newspaper, The Connaught Patriot, during his jail time. 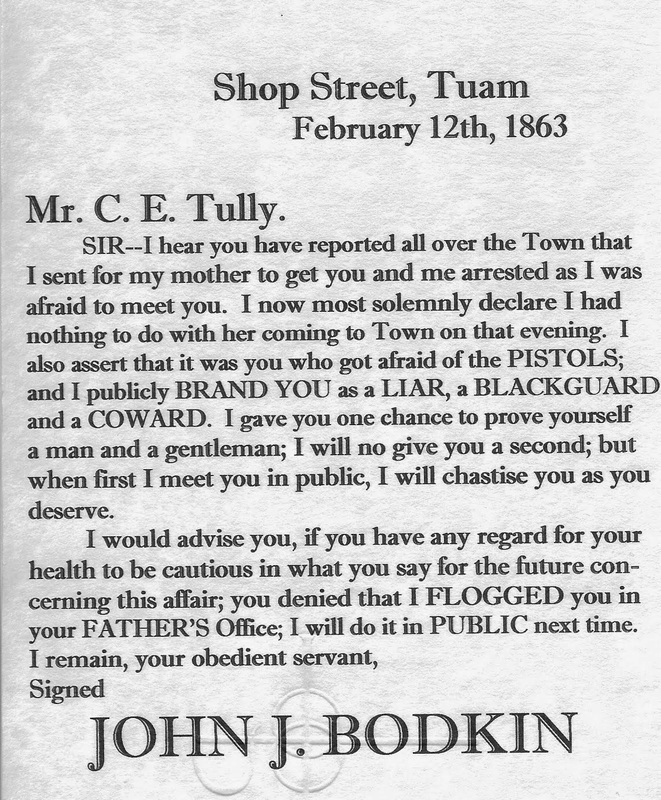 John was so ardent for righteousness that he chastised a man in public notices in Tuam for lying about him. He also shot and killed a neighbor in California for running towards him and threatening him. Of course, the trial was brief and he was found "not guilty". He was a school teacher, the first editor of The Tidings in Los Angeles, wrote the History of the San Gabriel Mission, ran a Catholic bookstore in Los Angeles, and walloped his son (my grandpa) for misspelling words. A little intensity, passion, and righteousness there also, I'd say. So, while my brother and I shall be eternally grateful for the faith passed on to us, and we shall continue all our devout activities, we are at least pondering the value of fishing or resting in a hammock. After paying for a room at the beautiful downtown Atlanta budget motel (which shall remained unnamed), using all my airline miles as well as my husband's, and packing my bags - oops! No I mean bag (singular) since they charge per bag these days - I was on my way to the International Christian Retail Show. This was an adventure as I had no idea what it was nor why I was going. Deep River Books, my publisher, invited me. My first night in the cockroach-free motel was fine. Sunday I enjoyed the Mass at the Basilica within easy walking distance. The security guard out in front did cause me some concern. We definitely don't need one at my little Holy Rosary Church in the Cascade foothills. Sunday evening I enjoyed a wonderful dinner with the Deep River Books group. I then walked back to my to my cut-rate motel with some other Deep River authors, although the last one of them deserted me at the Hilton as I continued a block to my haven. It was fine until about 5:00 am when some noisy people woke me up. I assumed they were rude guests checking out early. I tried to sleep but by about 5:30 realized there was violent yelling now accompanied by stomping on the floor above me. After several phone calls to the front desk and pounding on the ceiling to try to save someone's life, I heard a different pounding and a voice, "This is the police. Open up!" I tiptoed out my door and up the stairs just far enough to peek in the third floor hallway and see a police officer. This was only one of the disturbing events. Next time, the Hilton! Monday morning I figured out how to take the shuttle bus to the Georgia World Congress Center. I arrived early to be there for the opening ceremonies. Apparently no one else thought that was important. I watched them set up and put tape on the carpeting to keep the crowds back from the red-ribbon to be ceremoniously cut. With no competition for a good spot, I stood with my toes on the line. About 6 other people were there. Once the prayer started the crowd swelled to about 30 people. This was amazing to me considering the opening prayer was given by Phil Robertson and a message by his son, Alan. Their TV show, Duck Dynasty, is the most-watched reality show on cable. I checked in at the Deep River booth, and asked what I was supposed to do. They suggested I "make contacts." My only appointment was a book signing on Tuesday for 45 minutes. That left me three full days of what? I wandered aimlessly looking at other booths with books, wall plaques, Christmas decorations, and toys. I checked back in at our booth about every half hour still befuddled as to why I was there. at the booth again and confirmed that I was to mingle and meet people. They informed me the goal was to get rid of all 57 of my books that we had brought - hopefully into the hands of bookstore owners. It finally happened. 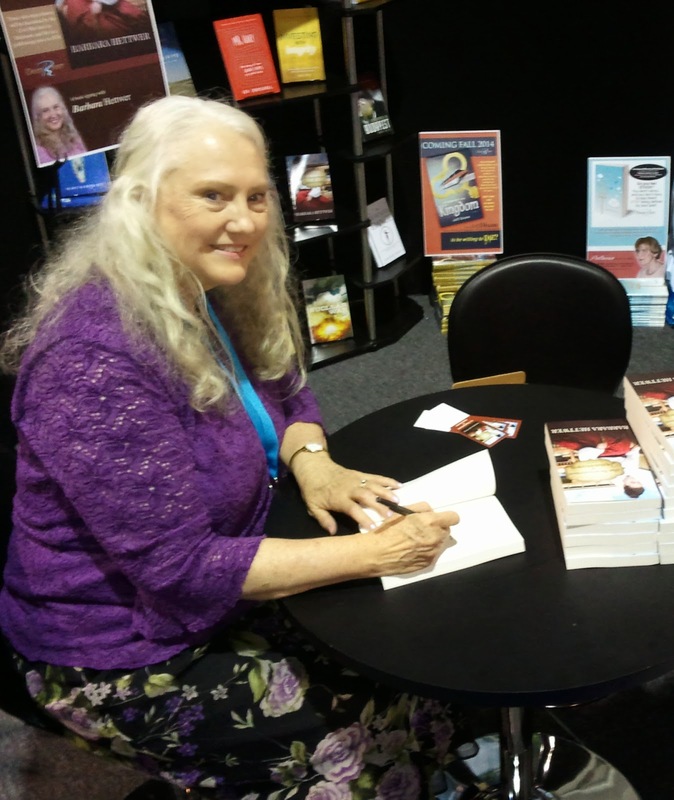 I ended up meeting many bookstore owners, book and magazine publishers, and other authors. 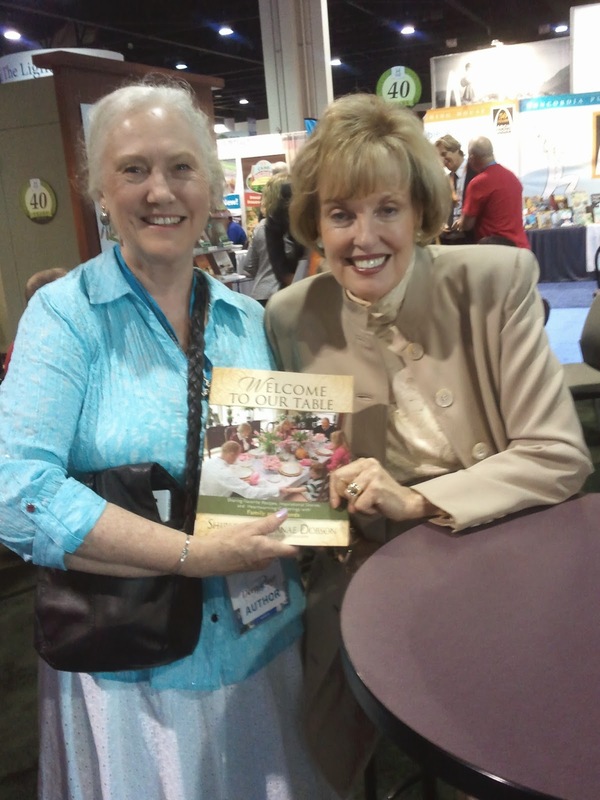 I collected free books at author signings - even from the Robertsons and Shirley Dobson. My signing was incredibly successful - running out of books in 30 minutes. I came home with a pile of business cards from contacts and a suitcase full of free books. I pondered leaving some clothes there, but just sat on my one bag and bounced until I got it zipped shut. All in all, it was a very successful trip. I made some friendships which I will treasure for years to come. A very exciting adventure for me, since I entered the world of authors, is getting to know other authors. I have been amazed at how generous they are with their time and advice in helping newbie authors like myself. One such author is William Burt. We "met" through a mutual librarian friend. Although I have not met him in person yet, he has given me great encouragement. I am honored that he chose me to be part of this blog tour. I hope this tour will expose readers everywhere to authors and bloggers worthy of more attention. Hopefully, through this tour, you will also discover some great books to enjoy during the summer reading season! I would like to begin by sharing with you a little about William Burt. Having spent most of his teenage years vicariously adventuring in Middle Earth, Bill is an avid fantasy fan. 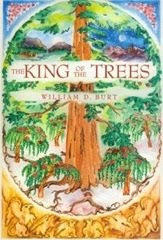 His first allegorical fantasy title, The King of the Trees, came out in 1998 (WinePress). Bowing to reader demand, he has expanded the series to include a total of seven titles to date, with more to follow. Burt holds a B.S. in English from Lewis and Clark College and an M.S. from Western Oregon University in Deaf Education. In addition to writing books, he works as an RID-certified American Sign Language interpreter with over thirty years' experience. His interests include reading, foreign languages and mycology. He is married with two grown children. Check him out at http://www.greencloaks.com You can scroll down to the bottom of his page and link to his blog. There you will find the names of the authors he recommended in his World Blog Tour post. In this way you can link to many authors and books you may otherwise never find. Unlike William Burt, I have not settled into a specific genre yet. My only published book is historical fiction. This is what I like to read, so this is what I wrote. I am not a deliberate writer. I did not plan to nor ever desire to be an author. Like so many great adventures in my life, it just seemed to happen. Definitely assuring me that The Almighty is guiding my path. My first book was just a story I made up one night to entertain myself. It grew - seeming to take on a life of its own. My publisher would love for me to write in one genre, but I write for myself, not my public. So I write what interests me at the time. I do hope to write more historical fiction soon. When I wrote The Seamstress of Jamestown, I worked for 4 to 8 hours a day. Since I demanded that it be very historically accurate, much of that time was spent in research. I have great respect for authors of old. How did they do research without the internet? When I wrote a chapter, it only took about 3 hours. I just let the book within me flow out. The characters developed on their own. They are based upon many people I have known. Surely, a first book must be the easiest. Emma, my heroine, is a combination of my mother, my friends, and myself. My book differs from other historical fiction because it has my life in it. Surely no one else wrote about Sr. Erminold and her method of teaching piano and dance. It's the real characters that I have known that bring a fresh and unique air to The Seamstress of Jamestown. My voice is pure as I have taken no writing classes. The most common comment I receive about The Seamstress is that it is easy to read and my characters seem real. My second book, which I am working on now, is easy. My mother wrote it. She wrote about her life several times - just a handwritten page about some incident (the neighbors house burning down or sewing methods in the large dressmaking houses of NYC). She also kept her rough drafts of letters that she wrote to relatives. Then, in her last year of life, she recorded her memories. 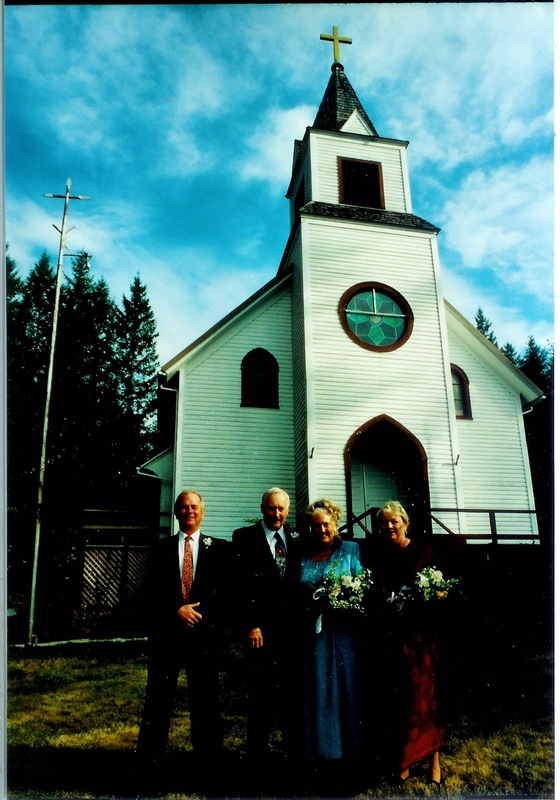 I have simply transcribed and combined these and am putting them together with family photos. That hardly counts as writing a book, but it will surely be my favorite. Next, will be the hardest project - the story of my grandmother's life. For this, I will have to do much research. Her life is one of those that is stranger than fiction. Much is what I uncovered with genealogy research, but much is also from the one day she poured out her heart to me and told me her life story. I promptly went to my car and wrote it down in the back of my Daytimer. There will be a true theme, not just a story. How did she and her sister live to be 102 and 91 respectively when their ancestors died much younger? From whence came their strength of character? These questions will be answered in easily flowing story form. Please check out three of the authors I have discovered. Robert Mulkey wrote a memoir, This Is My Lemonade, which I enjoyed reading and helped me understand the intense search some people have to find home. Rose Marie Dunphy wrote Orange Peels and Cobblestones. It is not only an interesting fiction novel about a young woman who is torn from her loving family in Italy and brought to America but also an immersion course in Italian culture and food. Terry Madden has dabbled in screenplays and historical fiction, and is currently working on several science fiction and fantasy pieces, both short and novel length. When she is not writing, she teaches high school chemistry and astronomy. They will be posting for the World Blog Tour on June 2. Be sure to follow them and their recommended authors! Adopted by an Oregon family as an infant, Robert Mulkey was eighteen years old when he first learned the details of his birth family - including the brother he always dreamed of having. This is My Lemonade, An Adoption Story chronicles the amazing story of his thirty-four-year quest to know his birth family, learn of his roots, and find his identity, traveling first to British Columbia and eventually to the ancestral family home near Ascoli Piceno in central Italy. It is a journey filled with transcendent moments and agonizing heartbreak, leading finally to acceptance, understanding, and the genuine love of family. Rose Marie Dunphy lived in Italy and now resides in New York. With a Master’s Degree from Stony Brook University, she taught Science for 10 years, co-authored That First Bite – Chance or Choice, a self-help book about eating disorders using the 12 Step Program. 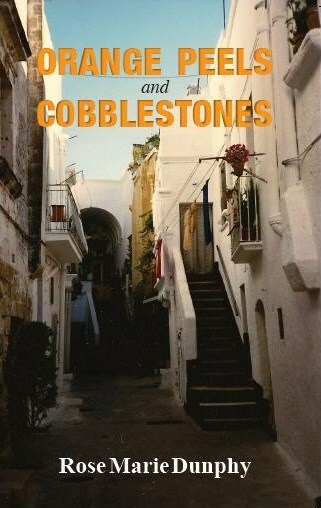 Her second book, a novel, Orange Peels and Cobblestones, is based on a true event in her life. How does a mother give away her own child? It has themes of adoption, the immigrant experience, and love and forgiveness. Her third book is Ciottoli e Bucce D’Arancia, the Italian version of Orange Peels and Cobblestones, which the author translated herself. In addition, Rose Marie has written numerous essays and short stories that have appeared in The New York Times, Newsday and other publications. She is now writing a cookbook of Italian recipes and a sequel to Orange Peels and Cobblestones. Dunphy is available as a public speaker and has done Book Talk/Signings in libraries, colleges, book clubs and organizations across Long Island, Albany, NY and the Palm Beach areas of Florida. Copies of her books can be found and purchased on Amazon, Kindle, Barnesandnobles.com and in New York City and Long Island bookstores. For signed copies, contact the author at orangepeelsandcobblestones@gmail.com or visit her blog at http://rosemariedunphy.blogspot.com. After being tossed into the river by my publisher who could no longer stay in business for reasons I will never understand, I was pulled into the lifeboat of Deep River Publishing. I was searching for a new publisher, and I luckily discovered Deep River which happened to be in Oregon where I live. I didn't follow through on getting a new publisher because my husband, Hubert, and I had a big trip planned. It was a wonderful two week trek in February, which included doing a book signing at the National Hotel in Jamestown, cleaning out my parents' attic in California, and visiting our precious 19th grandchild in Phoenix. We meandered home on back roads. I realized we would be passing through Sisters, OR, definitely one of our favorite towns - and coincidentally, the location of Deep River Books. I gave them a call and we had a pleasant visit with their publisher, Bill Carmichael, at a quaint coffee shop. Hubert, one of those down-home, country folks with good instincts, liked him. Sold! I had a new publisher. And as often happens in life, there was a surprise blessing tucked into the lifeboat - an invitation to the International Christian Retail Show in Atlanta, Georgia, June 22-25. http://christianretailshow.com/ This is a big deal for a first time author who lives outside of cellphone range. I am truly enjoying my excursion in the world of authordom. It's not about how many books I've sold (good thing! ), but about the fun I've had meeting other authors and learning an entirely new career at retirement age. 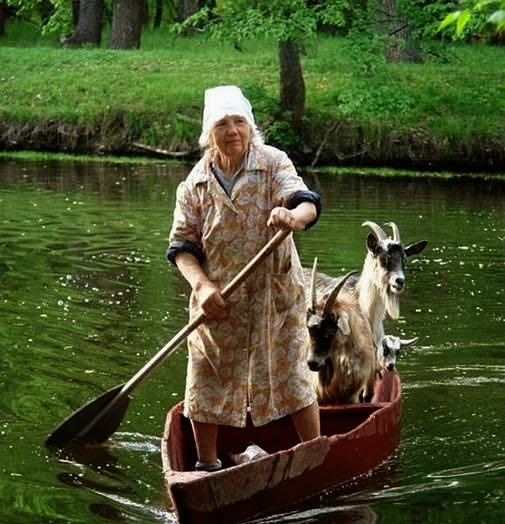 May you all have such adventures! Writing a book was so simple. Some may find that hard to believe, but The Seamstress of Jamestown flowed from my fingertips. The characters were compilations of the hundreds of people I've known in my many years of life. Choosing a publisher wasn't too hard either. But now the snag! Winepress Publishing closed their doors on January 1, 2014, with no warning. I don't want to speak badly of them as I enjoyed working with the Winepress staff; however, this left me in quite a predicament. There is money from sales that I will never receive. But, alas, that's part of the adventure one should anticipate in business, right? This unexpected turn of events is requiring much of my time in endless phone calls, changing my ISBN number, meetings, reading emails, blogposts, Facebook posts, ad infinitum. Don't "they" know I started working on January 6 after a two-year hiatus? How do "they" think I have time for this? A new, excellent publisher seems to have fallen across my path. So, I shall muddle through this murky swamp, but this brings up some questions. Why doesn't life go smoothly? Why do some people let you down? And who are "they" anyway? So, we know the answer to two of the questions has to do with Eve and an apple. But who are "they"?! You have met them. At the most unexpected time in your life they go out of business owing you money, bounce a check you were counting on, slander you before your boss, steal your best friend (or spouse), or succeed in a hostile takeover of the business you poured every penny into. How can there be so many of "them"? I fear the answer is because "them" is sometimes "us". I find it interesting that I have been on both sides of an issue several times in my life. I have been friends with parties on both sides in churches that split. I have had neighbors divorce and tried the impossible task of remaining friends with both parties. I have lost dear co-workers who left a company convinced the Board of Directors were evil monsters. When one weathers these divisions, it is like standing with one foot on the wharf and the other on the boat pulling away from the dock - sometimes drifting, sometimes with oars paddling, sometimes with an outboard motor powering the dingy out to sea. I do see life as black and white in many situations. Good and evil sometimes present themselves vividly. However, in the above-mentioned experiences, it was not clear. Each side had good and sound reasoning. I often see clearly the truth of both sides. It leaves me standing on the shore holding hands with the one on the dock and the one on the boat trying to overpower the force of the boat pulling away. Alas, this is an adventure of life common to all. Surely, we have all experienced some division that broke our hearts because both sides were good people believing they were doing the honorable thing. The biggest battle is that over one's tongue. If I could learn to listen to both sides and not spread the muck perhaps I could be a true connector - like a ligament holding the body of mankind together - instead of cutting friendships and relationships apart with my sharp tongue. So, God bless Winepress and my new publisher, all those who have betrayed me, and those who simply couldn't remain united as one and had to break away.